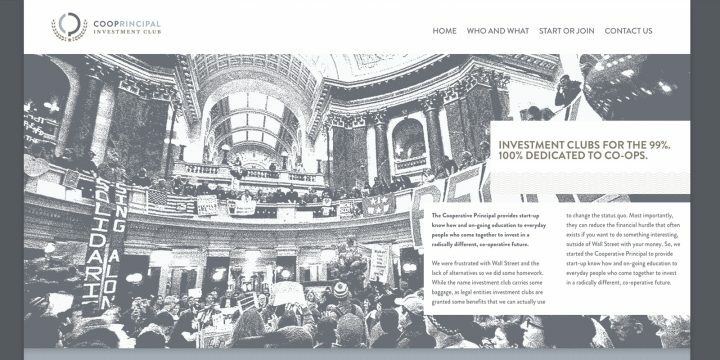 In 2017, Wedge Community Co-op and Linden Hills Co-op consolidated operations, and based on our previous work on the 2016 Wedge website project, we were brought in again to work with the in-house design and marketing teams to develop a new website for the combined operations, known as Twin Cities Co-op Partners. 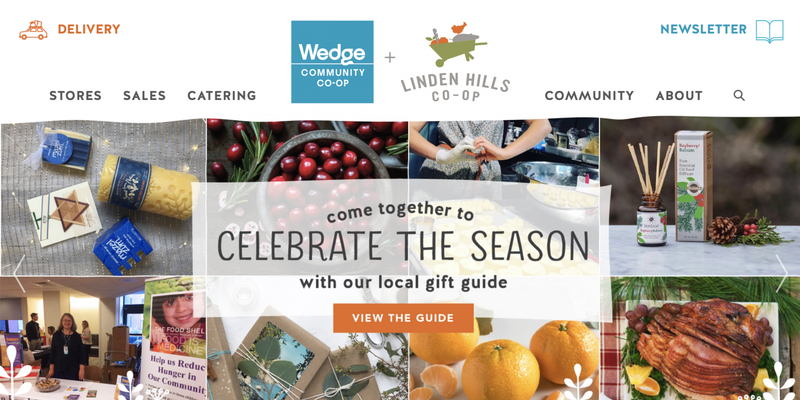 The new website leveraged many of the existing features we had developed for the Wedge website — including an event calendar, custom database integration for in-store sales and specials, and an in-house catering ordering tool — while providing a fresh look and feel and additional features for Linden Hills. 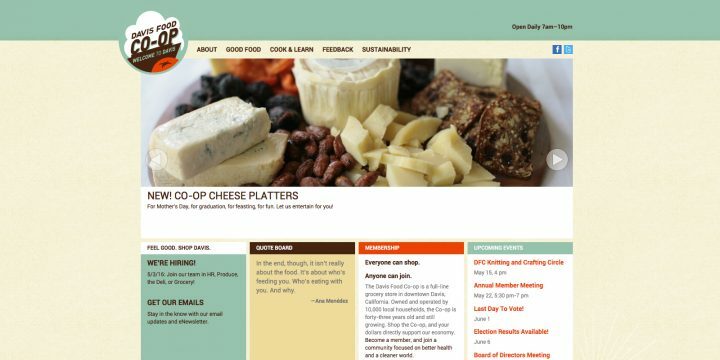 The Wedge Co‑op website is the third grocery co-op website designed and developed by the Replace/Room 34 team. We worked with the marketing and IT teams at the Wedge to identify the key features of the site, and combined best-in-class third-party WordPress plugins like Advanced Custom Fields, Gravity Forms, The Events Calendar and more, along with custom development, to deliver the final product. This site also included an extensive integration of an existing internal database for weekly specials, along with a unique combination of WordPress and existing custom-built functionality for online catering orders.